All About Me Archives - Page 2 of 32 - Baby Doodah! Welcome to the 76th week of Turn It Up Tuesday! Last week, we had an awesome time on Turn It Up Tuesday with 413 links – an amazing week! We’d like to thank each and every one of you for making every week so amazing! Keep sharing your amazing posts with us here on Turn It Up Tuesday! Happy Tuesday, Baby Doodah readers! So happy to have you here again this week. I love looking over all of your posts and seeing what you’ve all written and shared. Let’s get to it! Welcome to the 75th week of Turn It Up Tuesday! 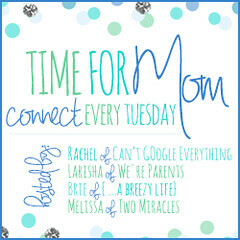 Last week, we had an awesome time on Turn It Up Tuesday with 457 links – it’s our best best week ever! We’d like to thank each and every one of you for making every week so amazing! Keep sharing your amazing posts with us here on Turn It Up Tuesday! Happy HAPPY Tuesday to YOU!! 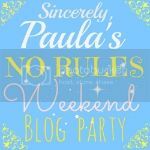 So, glad to have you this week, we love sharing our reader’s posts, so be sure to stay awhile, link-up and watch next week to see if you’ve been featured! Andrea Keeney is a writer, blogger, mother, and wife. 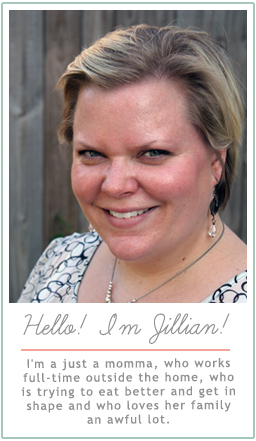 She is the creator of the blog, Parenting with Parents as well as the author of the book, Moms: As Elite as the C.I.A….Well Almost. When she isn’t pursuing her dreams of writing she is taking care of her three small children. Complete the form here! Monthly co-hosts will be chosen on a first come first-serve basis. Sarah also chose Vanilla Cinnamon Mug Cake from Organized Island. “It’s a perfect and SUPER QUICK dessert for one person. Just the bite you need to satisfy a sweet tooth without going overboard. The post with the most clicks is Winter Home Maintenance Checklist: Free Printable from Kenarry. Our Best Week Ever Giveaway! We also want to celebrate the record-breaking week with a giveaway! Enter to win $50 Paypal cash! 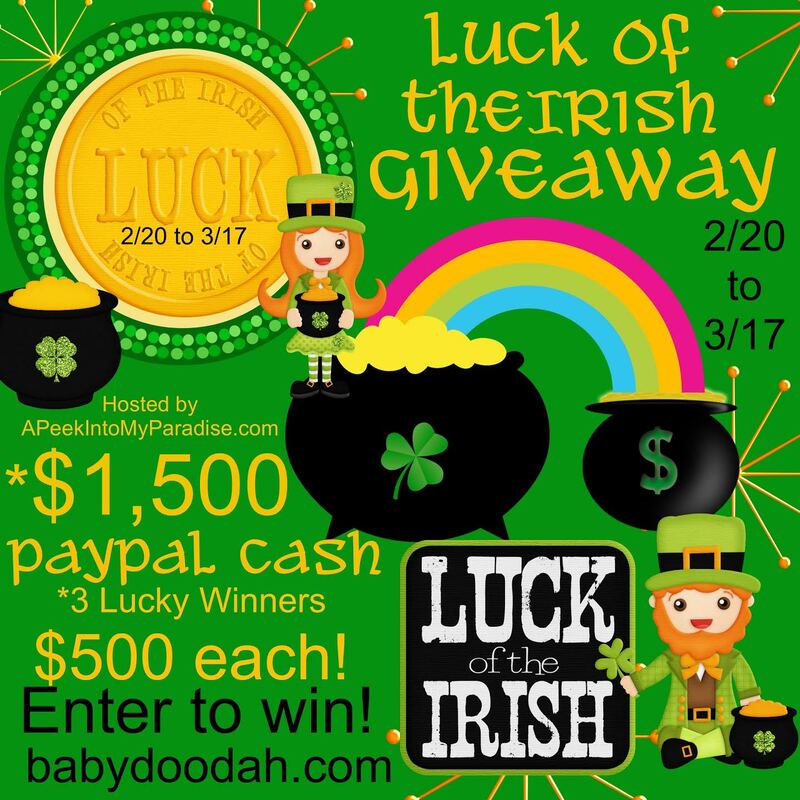 Luck of the Irish – Giveaway! Hi Readers! I feel so so lucky to bring you another HUGE giveaway! I’m working with 84 of my bloggy friends, to bring you a giveaway of $1,500 – 3 people will each win $500. It’s really exciting to be able to bring this to you. Having an extra $500 in your pocket would be very useful, I’m sure! So, use the rafflecopter widget below and enter to WIN! May good luck pursue you each day and night! Happy St. Patricks Day from all of us to you! Welcome to the 74th week of Turn It Up Tuesday! Thanks for joining us last week as we celebrated Valentine’s Day! Last week, we had yet another record-breaking week with 447 links – what an awesome week! We’d like to thank each and every one of you for making every week so amazing! Keep sharing your amazing posts with us here on Turn It Up Tuesday! This post also received the second most clicks last week. This post also receive the most clicks this week. Rhonda chose Heart Shape Pizza Recipe from Growing Up Gabel. Welcome to the 73rd week of Turn It Up Tuesday! Thank you for joining us for another week of linking and connecting! Last week, we had 299 links – what a great week! We’d like to thank each and every one of you for making every week so amazing! Keep sharing your amazing posts with us here on Turn It Up Tuesday! Can you believe that Valentine’s Day is on Saturday? We can’t! And we’re celebrating the holiday of love here on Turn It Up Tuesday this week. Share all of your Valentine’s Day posts, love posts, inspirational posts – anything at all! We can’t wait to read your amazing posts! The hosts and guest hosts will be able to select 2 posts each for the Featured posts, and we’ll be naming 4 posts Best of the Best! The post with the most clicks is 5 Tips to Grow Your Blog from The Organized Dream. 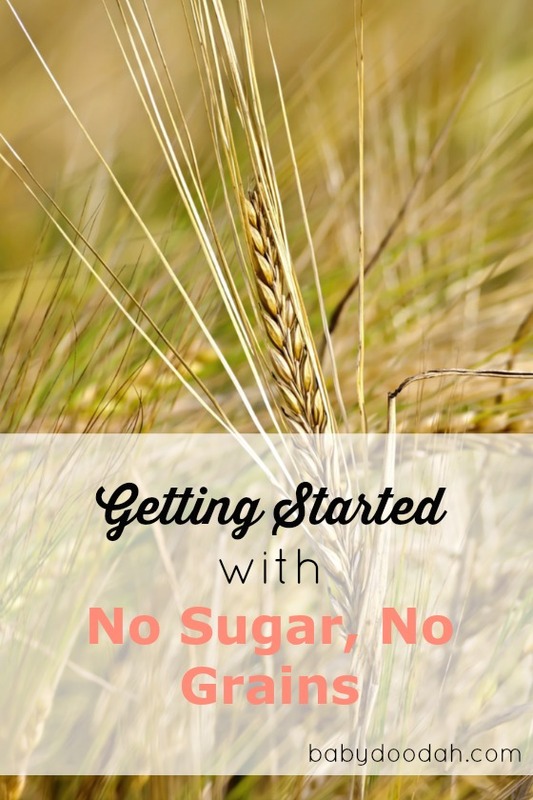 Preparing to follow the No Sugar, No Grains lifestyle (NSNG) should be fun and exciting! I want to share our process for getting started, in hopes that it will make your transition easier and more effective. So, you’ve been giving the idea of eating better some real thought. You’ve come across NSNG and it sounds like something you could really excel at and even enjoy! But you’re unsure how to get started because your house is currently full of food filled with sugar and grains. Have no fear! I’m going to provide you some tips on how to get focused on your goals, clear your kitchen and re-stock, without breaking the budget. It’s important to have a good foundation set-up for yourself before you begin the No Sugar, No Grains lifestyle. If you leave your kitchen full of the tempting food that you’re now going to be avoiding, it will make this lifestyle even tougher. My advice? Get rid of anything that you can’t eat (except for those items that your children may be eating). Give it away, you don’t need to throw it out. A food kitchen likely won’t take opened food, but a friend might. Ask around, there’s likely someone who will be interested in those cheez-its you’ve been hoarding. The reason cleaning out the kitchen is so important, is because when you’re hungry and you stroll into the kitchen, you’re likely going to reach for the first thing you see, or something that you can grab quick. When we’re hungry our resolve to eat the right foods weakens, if your kitchen is free of them – then you have no choice but to go for that delicious Honeycrisp apple, instead of the Reese’s Peanut Butter cup. You may be wondering whether it is worth changing your habits to eat this way, right?! For me, it has been absolutely worth it! I am losing weight and not starving. I am NOT obsessing over calories, or points – I don’t worry about when my next meal is (because I never feel hungry). One other reason you might consider making the switch… My body feels AMAZING! My brain is clear, I can think easier and come to solutions faster and my body doesn’t ache like it once did, when it was full of gluten. I’m telling you, it is SO worth it! I’ve said it before, I’ll say it again… nothing will happen if you don’t make the switch, you’ll likely continue living your life quite happily – but by switching you may find that you feel 10 times better, and that you don’t even miss the sugar or grains. We certainly don’t know everything, but I wanted to share how we went about adopting this lifestyle, in hopes that you may benefit from our experiences. Seamus and I had heard of NSNG from a radio show we listened to. At first we were skeptical, we felt like there was no way we would do it. I mean, when you think, no more brownies, or no more crusty bread with your pasta, it can feel a little overwhelming. However, one day after Seamus had a particularly sucky week and couldn’t concentrate, he decided to give NSNG a try. Sidenote: You will hear a lot about all the problems that gluten can cause in your body. It’s true! That’s part of why your mental clarity returns when you stop eating it. Within a month of starting, not only was he thinking clearer, Seamus had lost 20 lbs with little effort, other than changing his diet. He’s kept losing, and now my husband, who is 6’5″ weighs 182 lbs (and trust me, he is not starving). This lifestyle really works! After seeing his success, I was instantly motivated to give it a try. I attempted a start on several different occasions, but always quit by lunch time. Why? I wasn’t prepared, my house was full of the foods that I couldn’t eat, and my willpower to avoid them was weak. But then the new year rolled around and I decided to make a change, and to challenge myself. On January 1st I made the choice to be dedicated to the NSNG way of life for 31 days. It was enough time to see how I would feel, and short enough where my mind didn’t start to panic about the change. My 31 days are now over, and I have no plans on stopping. I still feel great, and I’m losing weight (I’ve lost 8 lbs in 4 weeks). Why stop!? We’ve been told for SO long that fat is bad, that it’s the enemy and that we should avoid it. But, my husband is living proof that fat isn’t bad – sugar and grains are. Implenting NSNG is simple. Just stop eating sugar, substitute sugars and grains and you’re locked and loaded. But, of course it is more complicated than that, you have a brain who is addicted to sugar and believes that without grains (specifically pasta or bread) you’ll never make it. I’m here to tell you, you don’t need bread – with the amount of healthy fats that you’re allowed to eat, you won’t miss it. Clear the cupboards. Go through your cupboards and get rid of everything that contains a sugar or a grain. No, you don’t need to throw it away – donate it or give it to a family / friend who has not adopted the NSNG lifestyle. Meal plan. Before you go shopping to restock those now empty cupboards, spend time making a meal plan (you can see my tips on making one by clicking on the link). Eat breakfast / lunch, before shopping. Make a shopping list and eat breakfast / lunch before heading out the door, you never want to shop on an empty stomach. Stick to the list. Seriously! At least for the first few weeks, buy exactly what you wrote down. Your resolve may not be strong enough to say no to the junk, otherwise. Food prep is key. Spend some time prepping what you can, cutting veggies, washing fruit – making certain meals ahead of time. Eat the fat. Eat lots of yummy fat and protein and don’t let yourself get too hungry so you begin craving foods you shouldn’t eat. The one thing this does not mean is, eating fast food. You want fats that do not include grains or sugars! Allow for imperfection. This one is HUGE! Don’t beat yourself up if you have a cookie at the company pot luck, or if you need to grab something on the run and you have a bun from a burger. This is life, it is going to happen – what is important is that you cut grains and sugars out of your life for the majority of the time. As I mentioned earlier, Seamus has lost 65 lbs simply by following the NSNG lifestyle. I can’t even attribute much of it to exercise, because he injured his back and hasn’t been able to run since August. He’s just followed NSNG, walked and has lost the weight. If you’re interested in learning more about NSNG, or are maybe want to start following this lifestyle, Vinnie Tortorich has a book, Fitness Confidential and a self-titled podcast. There’s a wealth of information, all stuff I’ve personally benefited from! I plan on sharing more about NSNG around these parts, possibly even recipes so be on the lookout for those! Have you tried any diets and failed? What’s your favorite way to eat healthy and lose weight? Have you ever thought about eating a diet high in fat and protein, in order to lose weight? What other questions do YOU have about this way of life? Welcome to the 72nd week of Turn It Up Tuesday! Last week, we had a record-breaking week with 406 posts – the most we’ve ever had! And we’d like to thank each one of you for making last week and every week so amazing! Keep sharing your amazing posts with us here on Turn It Up Tuesday! Thank you so much for joining us each week and for helping us hit another record this week! Ce Ce chose jpeg vs png: When and How To Use It from Rekita Nicole Design Studio & Blog. The post with the most clicks is 5 Ways I Make Money Blogging from Mama’s Got It Together.